Network-attached storage (NAS) sounds very big and technical--the term refers to devices that were conceived as a tool for large organizations--but this is not a geeks-only article. These hard drives with brains are now compact, inexpensive, and easy to use, and they can provide automatic backup and storage for as few as two networked computers. The products reviewed here can be installed and maintained by anyone comfortable with setting up a home or small-office network--no IT training necessary. These ten products range from networked hard drives to more richly equipped NAS units, which in turn possess fewer capabilities than full-fledged servers. Typically each contains an embedded processor, an operating system, and one or more hard drives, often with room to add still more storage capacity. The result is a dedicated storage server that lets users back up and share files. Because they attach directly to your network via an ethernet cable rather than via your PC, networked hard drives and NAS devices sidestep the limited, relatively insecure file- and printer-sharing features built into Windows. And since NAS devices don't require a host, no PC on your network has to be on all the time or suffer the processor slowdown that file and printer sharing can cause. Right now, small businesses are the main users of NAS products, since it's far easier and cheaper to add a NAS device to a network than to add a full server. According to IDC storage systems analyst Brad Nisbet, most small businesses are using NAS primarily for backup and for remote file access among workgroups--even though the products are also designed for file sharing. NAS, however, has its limitations. The performance of networked drives will never equal that of local hard drives: Network transport speeds (in the range of 11 to 100 megabits per second) are much slower than internal and even external hard-drive transfer rates, which are about 480 mbps for USB 2.0 drives. (The exception would be a gigabit ethernet network, with speeds around 1000 mbps.) 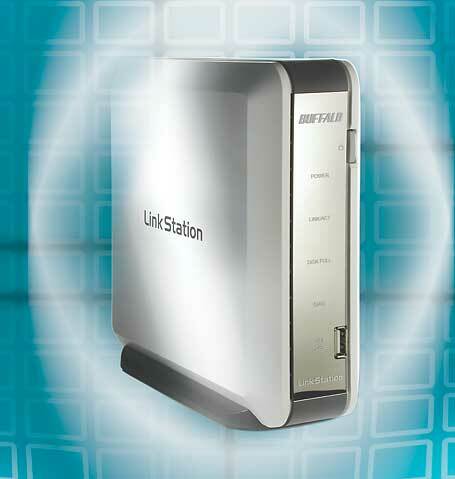 Nevertheless, the NAS products we tested are fast enough for backup and printer sharing by a small workgroup. If you exceed about 25 simultaneous users, you start to tax the performance of even the most capable products in this review. Most of them are intended for smaller networks of 5 to 10 users. Devices that fall into that 5-to-10-user sweet spot are perfect for home networks. In fact, half of the products reviewed here are designed for home users who want to share large collections of music, photo, and video files among their networked computers. Some of these devices even include wireless capabilities--a nice option if you don't already have a wireless access point. As in the business environment, NAS at home also functions as a backup device and removes the need to enable Windows file sharing on an always-on host computer.